Most of us have had a headache. Figuring out why we’re suffering or how to get rid of them isn’t always easy. At our Aurora chiropractic practice we have had hundreds of patients experience improvement if not complete resolution of their headaches. In the United States Alone, 50 million people have frequent headaches that result in 157 million lost work days, $50 billion in healthcare expenses, and $10 million visits to doctors’ offices. Most headache sufferers turn to over-the-counter drugs as their only form of relief. It is estimated that Americans spend $4 billion annually on over-the-counter medications for treatment of headache pain, often providing only temporary relief and causing a variety of unpleasant side effects. In spite of these staggering statistics, headaches are still terribly misunderstood and proper diagnosis is the first step. 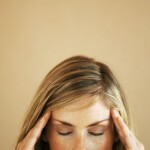 A number of clinical studies note the effectiveness of chiropractic adjustments in relieving headaches. Why be one of the millions dependent on pain medications? If neck and spine dysfunction is causing the pain, regular adjustments might be an effective solution. If you are one of the many people who suffer from headaches, call our Aurora, Warrenville, or Naperville office today. Sciatica can be caused from multiple factors, but usually starts with a bending or twisting motion. Sciatica sufferers often have severe pain along the sciatic nerve path, usually in the back of the legs and thighs, although sometimes the pain may also be felt in the ankle, foot and toes. Occasionally pain is felt in the front or side of the legs, in the hips, or for some hapless sufferers, in both legs. Apart from pain, paresthesia or pins-and-needles, burning, tingling, prickling, crawling sensations or tenderness may be felt. Ironically the painful leg might feel numb as well! Sleeping, sitting, walking, bending, turning or standing up may be difficult or impossible. Chiropractic has been a blessing to millions of sciatica and leg pain sufferers. Dramatic relief has often been observed after a single chiropractic adjustment. Chiropractic has been found to work better than traction, painkiller injections and surgery. There is no need to deal with the pain or risk the condition getting worse. 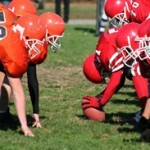 Our office has extensive experience in sports injuries. We have treated patients ranging from the weekend warrior to pro and Olympic athletes. The athletes will experience faster healing time and prevention of injury. Some studies have also showed enhanced physical performance. Fifty athletes were tested and divided into two groups. One group received chiropractic adjustments, the other served as controls. Eleven tests were used to measure aspects of athletic ability including: agility, balance, kinesthetic perception, power, and reaction time. After 6 weeks, the control group exhibited minor improvement in eight of the 11 tests while the chiropractic group improved significantly in all 11 tests. Call our Aurora chiropractic office, our Warrenville office, or our Napervile office to make an appointment so we can help you and your family!